Home / Screening / 'Jason Lives: Friday The 13th Part 6' Screening As Part Of 666athon! 'Jason Lives: Friday The 13th Part 6' Screening As Part Of 666athon! Being able to watch the classic Friday The 13th films on the big screen is a great nostalgic trip to the heyday of the franchise. 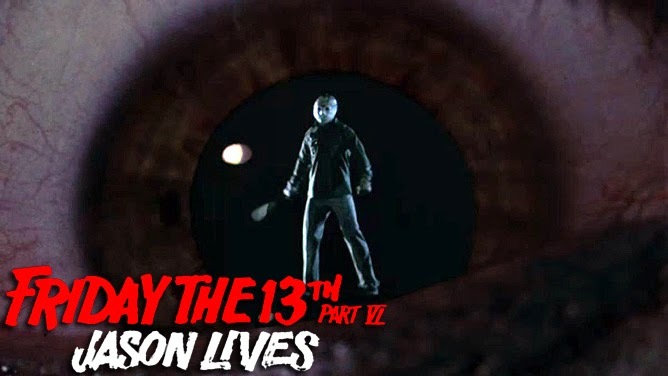 One of the more accessible films in the franchise to new viewers is Jason Lives: Friday The 13th Part 6 and being able to enjoy the sixth film in the series among fellow fans can be a lot of fun. Well, tonight, Director Tom McLoughlin will make an appearance at a special screening of Part 6! The Cinefamily in Las Angeles is showing Jason Lives as part of it's 666athon: An all night horror marathon, which includes numerous Part 6 entries from various horror film franchises. The cost is $25 and the festivities begin at 7:30pm. If you live in the area, this is definitely a screening you will want to attend. Please visit www.cinefamily.org for more information.